Last month, Paul and I celebrated our birthdays in Boracay. This is our first time to fly together in 8 years. We have been planning this since the beginning of the year and to be honest, we are really trying to make this trip as cheap as possible since we are on a tight budget. But of course, we still want the trip to be fun and still get to try some of the best activities Boracay has to offer. 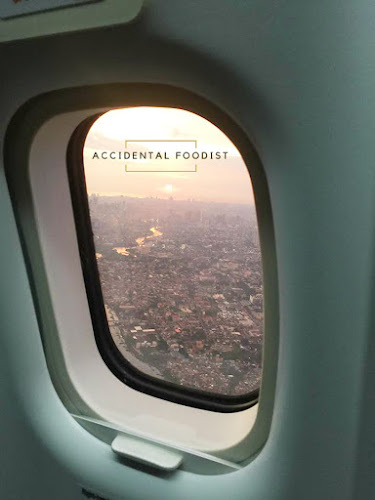 I’m not claiming to be an expert when it comes to DIY travels, I just want to share some of the things we experienced and you might be able to pick some tips from it. Our tickets were booked around February during Cebu Pacific seat sale and we took the best dates closest to our birthdays. 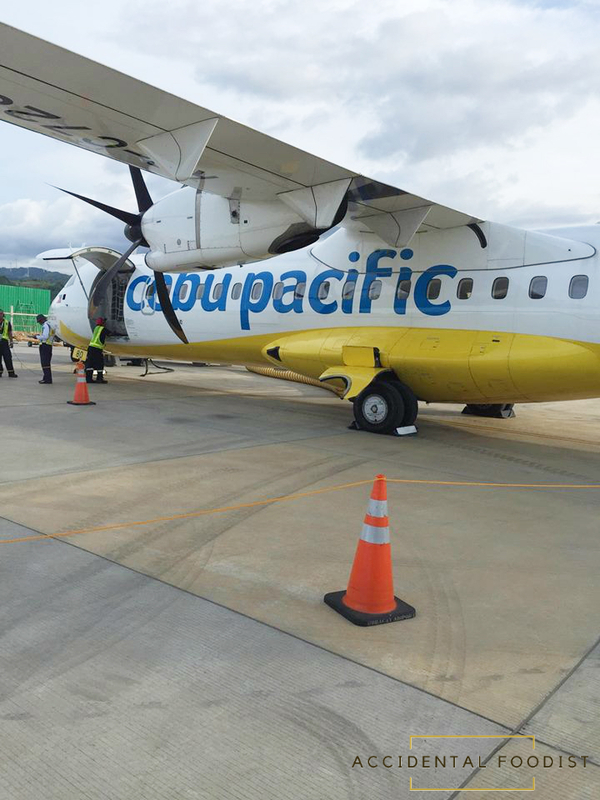 We decided to take Manila – Caticlan route, although it’s a bit more expensive, this option is better for us. 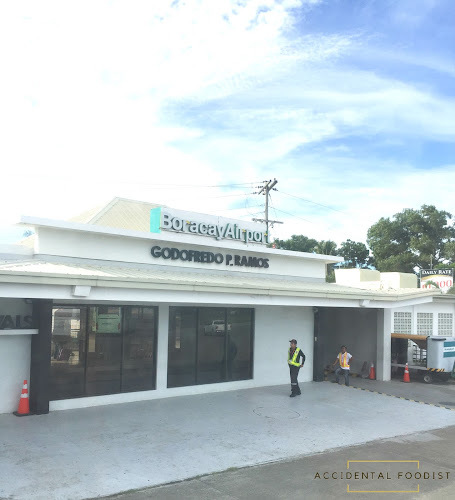 Manila – Aklan route may be cheaper, but the travel time from Aklan airport to Jetty port is a 1.5-2 hour trip via van or bus. And you also have to pay Php200-300 one-way fare. I think we just took the easier option. We have also been looking for accommodation options for months. Compared rates, amenities, accessibility and we also read reviews. And I believe we are very lucky to find an affordable place that has everything we are looking for. 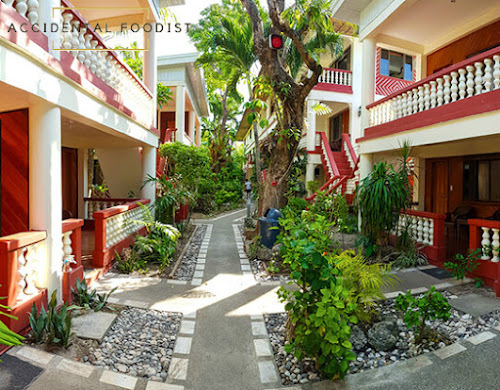 Air-conditioned room, free Wi-Fi, swimming pool, and is close to the beach front. We booked a room that is located in Station 3. It was not a fancy hotel, but if you think about it, you will probably be spending most of your time outside than inside your room. So instead of getting a hotel room, booking a more affordable option might be the way to go if you’re trying to keep your spend to a minimum. Our flight to Caticlan was at 4PM. We left Rizal at around noon. Took the UV to Megamall. Had a quick lunch and booked a Grab to NAIA Domestic Airport. Checked in and waited until we can board. Luckily, we were moved to an earlier flight and we arrived in Caticlan 1 hour earlier. Manila to Caticlan is around 50 minutes to 1 hour. 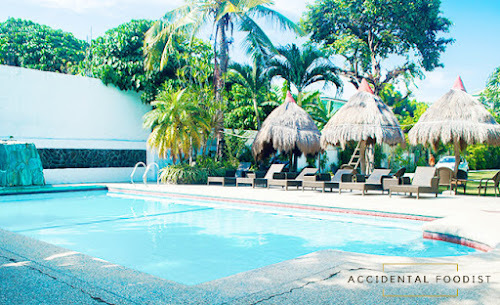 Before your plane lands, you will be offered transfer packages from the airport to your hotel at Php550/head. 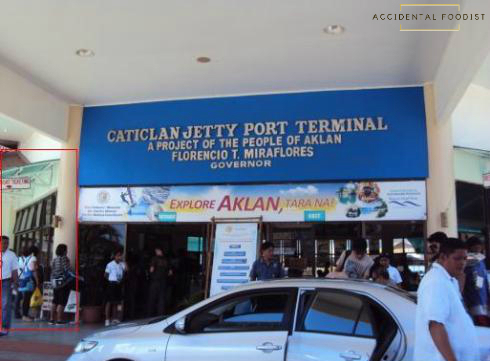 As soon as you get to Caticlan airport, you will be welcomed by a dozen of people selling the same transfer packages. If you don’t know what to do, you might take the bait and spend more money. Just say no and thank them politely. From Caticlan airport, exit and turn right. Continue walking until you see the tricycle terminal. A chartered ride can take up to 3 persons to Jetty port for only Php50. You can also take a 10-15 minute walk to Jetty port. Once you get to Jetty Port, remember to take the windows on the left side facing the port entrance. 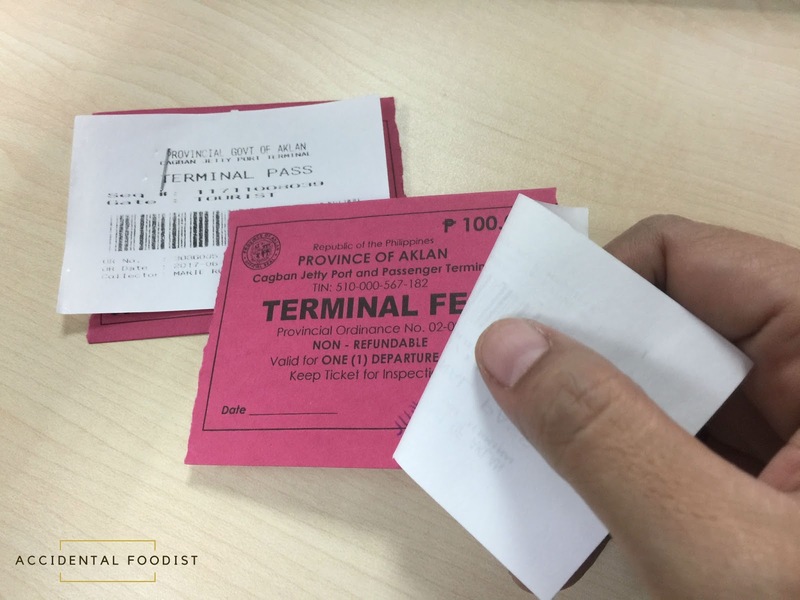 You will need to pay for the terminal fee (Php100), environmental fee (Php75) and your boat ride to Cagban Port (Php25) on separate windows. This will come to a total of Php200 per person. Don't take packages! 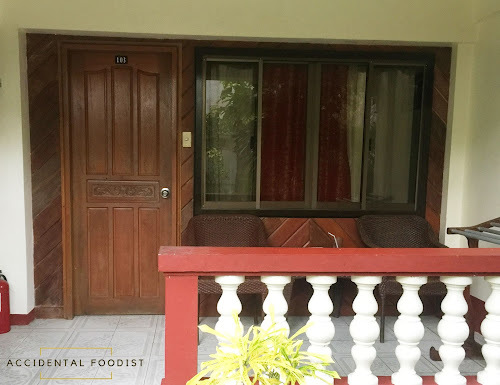 The windows on the right side will charge you Php250 per head. As soon as you are paid, you can now enter the port and your baggage will be checked again. You also need to fill out a passenger manifest form, so bringing your own pen will be convenient instead of waiting in line. As soon as you’re done with the necessary steps, ride the boat safely. This will only take about 15 minutes or less. As soon as you arrive in Cagban Port, you will see a terminal for tricycles and multicabs on the right upon exiting. Getting a ride here will only cost Php 100-120 and you will be taken directly to your hotel or resort. 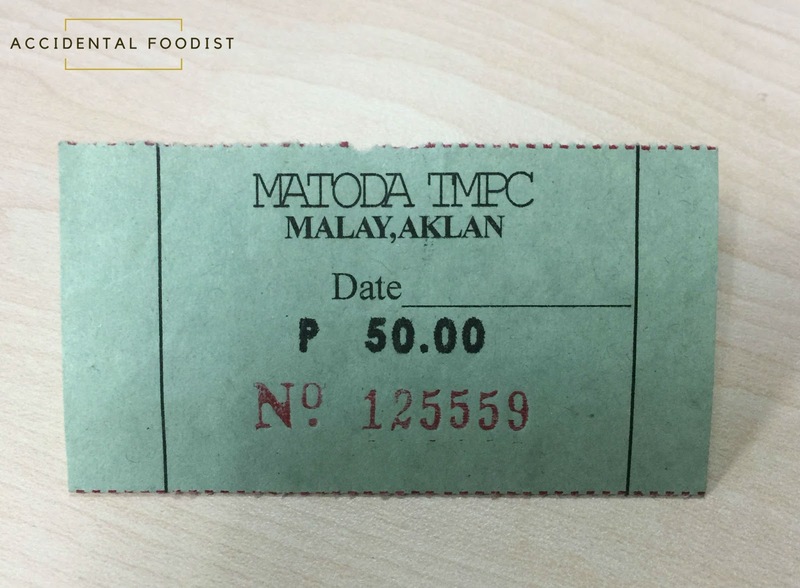 If we took the transfer package for Php550/head, that would have cost us Php1100! 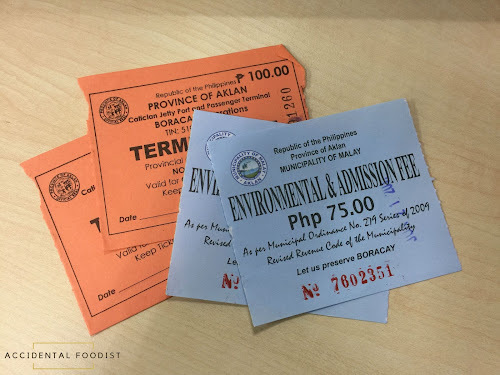 But we only paid Php570 for the both of to get to the hotel. Here’s the breakdown of our expenses. On your way home, transfer packages will be offered on multiple occasions, just remember, there is a cheaper option! You can either hail a tricycle from the main street which will cost a fare of Php20 per head. Or you can ask for a special or chartered ride back to Cagban Port which will cost Php100 for 2-3 people. In Cagban port, head to the windows on the right side of the port before entering. You will have to pay the following on separate windows: Terminal fee (Php100) and your boat ride fare (Php25). This boat will take you back to Jetty port. At Jetty port, you can either walk back to the airport or just pay Php50 for a tricycle to take you instead. These are the mandatory fees you need to remember. Every penny counts!